The future of British windsurfing looks strong with an impressive five medals for the British youth windsurfing team at the world championships in Sardinia. Noelle Finch took gold in the RS:X windsurfing U17 fleet on the final day of racing at the 2011 RS:X Youth World Windsurfing Championships, with further podium glory for British sailors in the RS:X and Techno 293 classes taking the British medal tally to five in Cagliari, Sardinia. Noelle Finch leads the fleet on her way to gold at the youth worlds - photo Rory Ramsden. Over the course of the five-day regatta, which witnessed 115 RS:X boards take to the waters in strong winds and big waves, Noelle Finch was in fine form from the word go in the RS:X class. The 16-year-old from Clevedon, North Somerset posted some impressive results in the 39-strong female fleet, in which 22 raced as Under 17s. 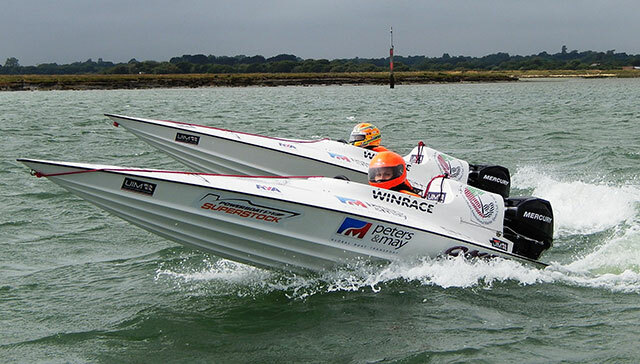 A continuous battle between Finch and Shani Rottenberg from Israel was evident across the 10 races which took place. However, the GBR youngster, who won the U17 title at the RS:X Europeans last month, went into the final day with a six point cushion on her closet rival in the hunt for the U17 gold medal. With Rottenberg (Israel) the only girl capable of taking gold from Finch’s grasp, the RYA Volvo National Junior Squad windsurfer did enough to finish ahead of Rottenberg to add the U17 RS:X Youth World Windsurfing title to her ever-growing trophy cabinet. 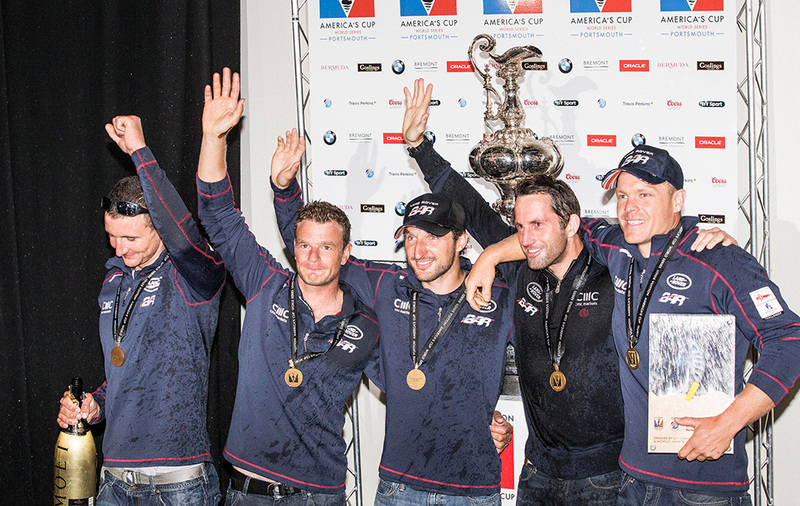 Finch finished a credible sixth overall in the RS:X female fleet. The 2011 RS:X Youth World U17 Champion commented: “After winning the U17 European title in Bulgaria in September, my goal for the Worlds was to finish in the top 50 per cent of the fleet, so I was ecstatic with the end result. “There was a real mix of conditions throughout the week and the competition was stiff. Racing the older U19 girls was a real challenge and the U17 girl from Israel was also a strong competitor for me. I had, however, raced some of them at the Europeans so I sort of knew what I was up against. To be finishing races in such challenging conditions and to be competing at the top end of the fleet with competitors a lot older than myself was very pleasing. In the male RS:X class, Skandia Team GBR Transitional Squad member Sam Sills sailed a fantastic race on the final day to finish third in the medal race to pinch the final spot on the podium in front of Frenchmen Fabian Pic. Sills started the week very strongly posting a first and a number of seconds, however a lack of consistency dropped out of the hunt for top spot after a near perfect week from Pawel Tarnowski (POL) who claimed event victory and the 2011 RS:X Youth World Windsurfing title. Continuing the GBR medal haul was Joe Bennett in the RS:X U17 fleet. Italian Mattia Camboni (ITA 88) took the title having had a very good start to the week which gave him a lead which Bennett could not quite make up. 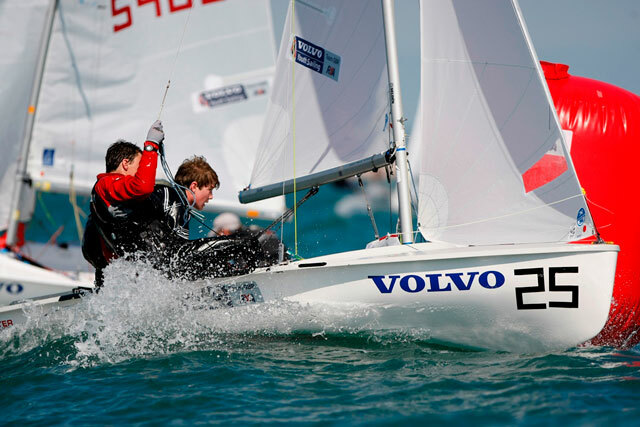 The 16-year-old from Rotherham who is a member of the RYA Volvo National Youth Squad finished second in the U17 fleet while Frenchman Dante Chaipello was third. 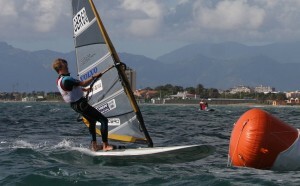 2011 Techno 293 Windsurfing World Champion, Kieran Martin, finished in fourth, four points off a medal position. Usually a regular on the podium, Martin struggled at times with the strong breeze and was unable to find the form which has seen him do so well in recent regattas. 2011 ISAF Youth Worlds representative Jade Rogers was also in the mix of things adding to her 2011 RYA Volvo Youth National Championship title with the U17 bronze medal. One of the top performers at the ISAF Youth Worlds in July, the youngster from Cheadle (Staffs) suffered an injury to her foot on day three of the regatta and was rushed to hospital for treatment, ending her hunt for the glory which looked promising. 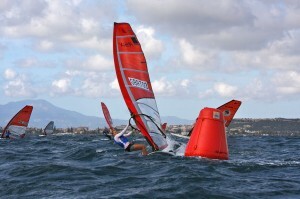 The Techno 293 2011 European Championship welcomed 249 competitors across the U17 and U15 fleets. On the penultimate day of the Championship it was all to play for across all four fleets with medals there to be won and lost. In the U15 female fleet, Emma Wilson who is the current Techno 293 U15 World Champion, was on fire across the five-day regatta posting a record number of bullets to finish 16 points ahead of second place to take the 2011 Techno 293 European U15 title in emphatic style. The young windsurfer from Christchurch, Dorset was the only winner to finish the regatta with a clear lead over the evenly matched silver and bronze medallists in the Techno 293 class. With a similar performance at the Techno 293 Junior Windsurfing World Championship in San Francisco back in July, Wilson is certainly one to keep any eye on for the future. To round off what was an impressive week for the GBR team, 15 year-old Emma Labourne from Barrow-on-Humber, North Lincolnshire clinched a well-deserved bronze medal in the U17 Techno 293 female fleet and was unlucky not be placed higher after finishing level on points with the second-placed Italian and three points off Israel’s Shahar Tibi who took gold. Oli Woodcock, National Windsurfing Coach, commented: “It has been a fantastic week in terms of the conditions and performances from our young sailors. We have had good breeze and big waves allowing for some really competitive racing to take place. “It is a great achievement to win five medals at a major international event like this. Noelle did extremely well and for me gave a stand-out performance which led to her winning a gold medal. Sam also did particularly well to fight back in the medal race and showed great mental strength and determination to win his place on the podium. It is also great to see Joe Bennett medal which is long overdue.